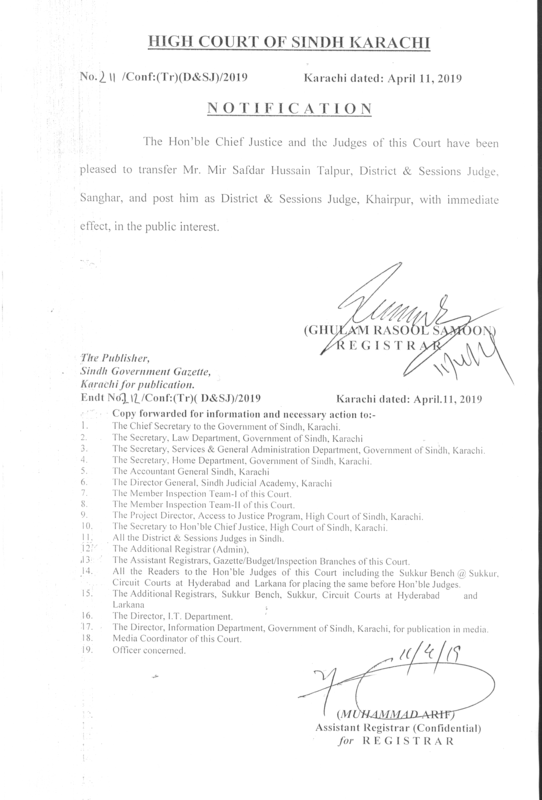 Bugalow No.29/I, 23rd Street, Phase V, Defence Housing Authority, Karachi. 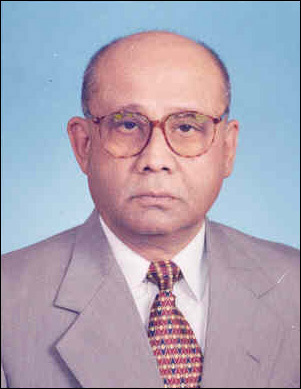 Advocate of Supreme Court 1991. 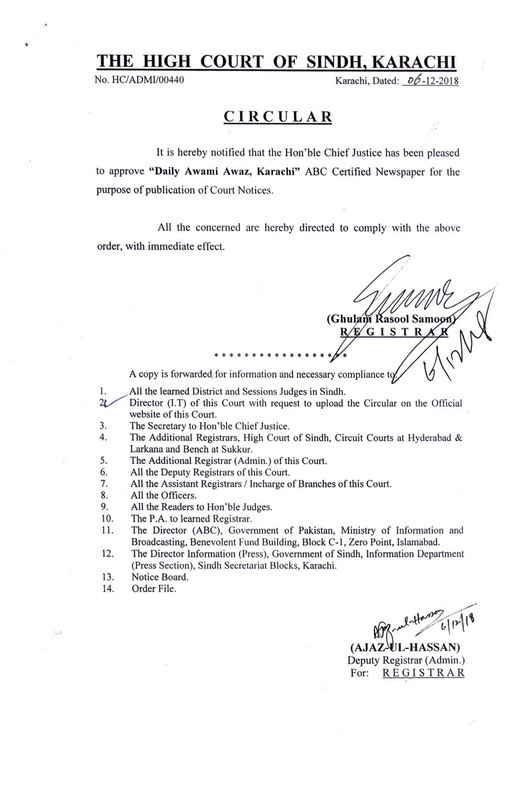 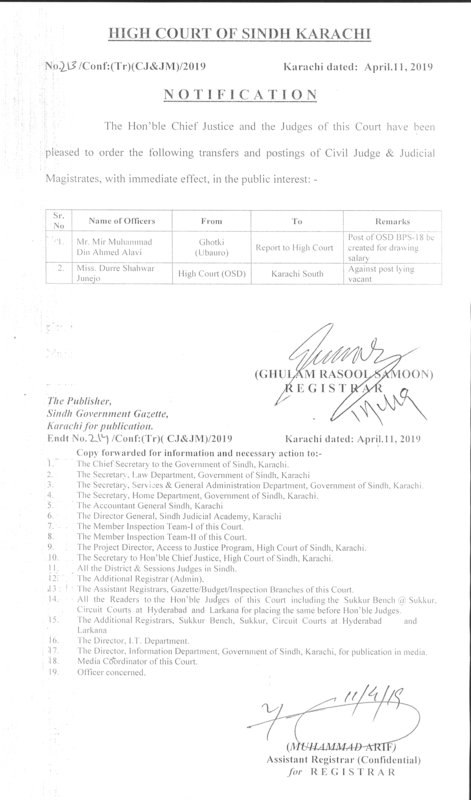 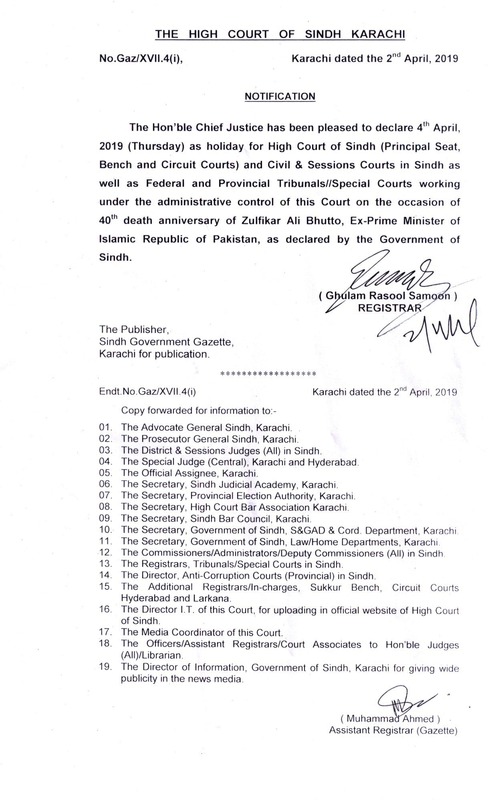 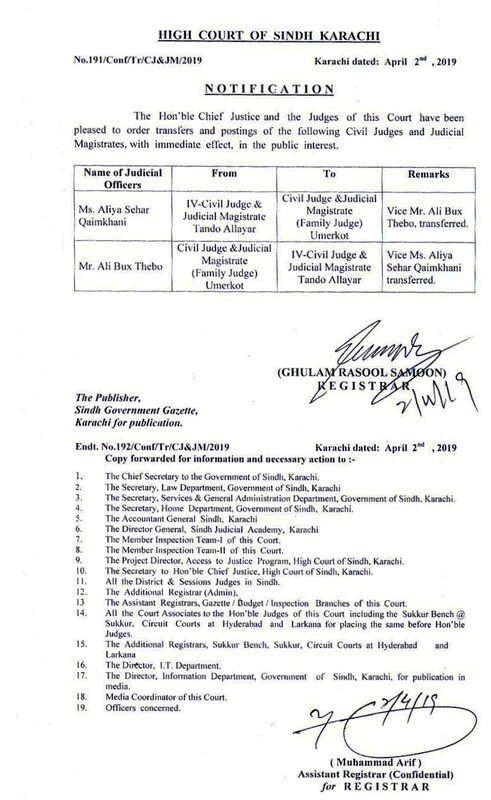 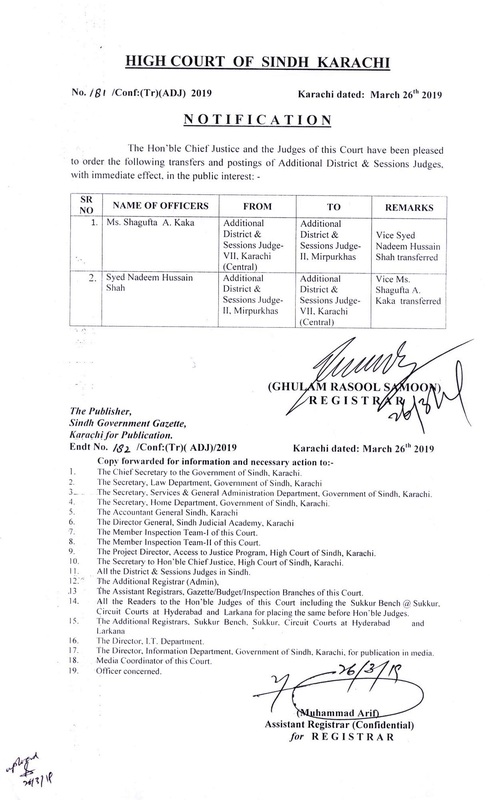 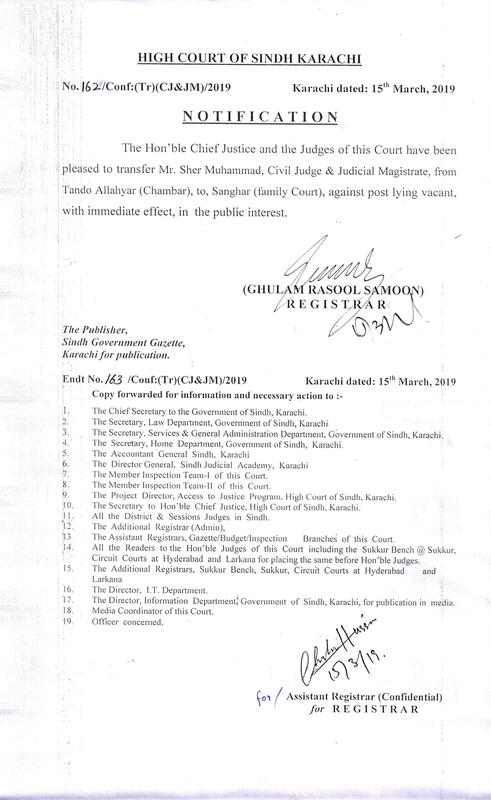 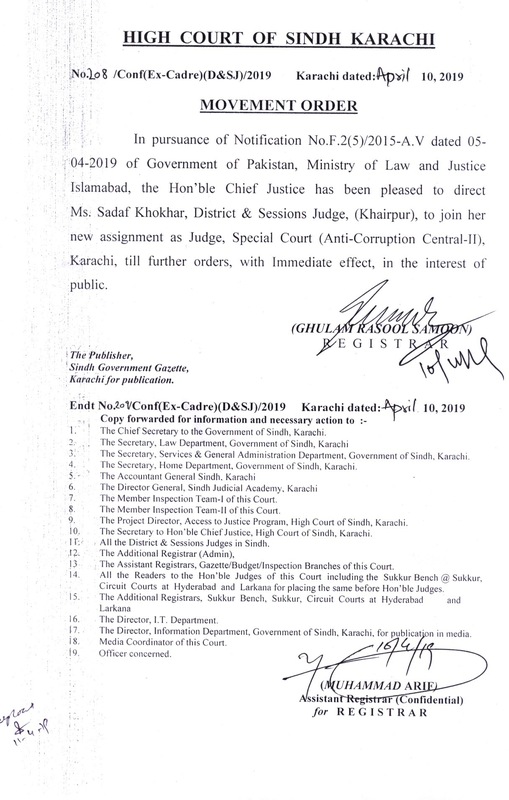 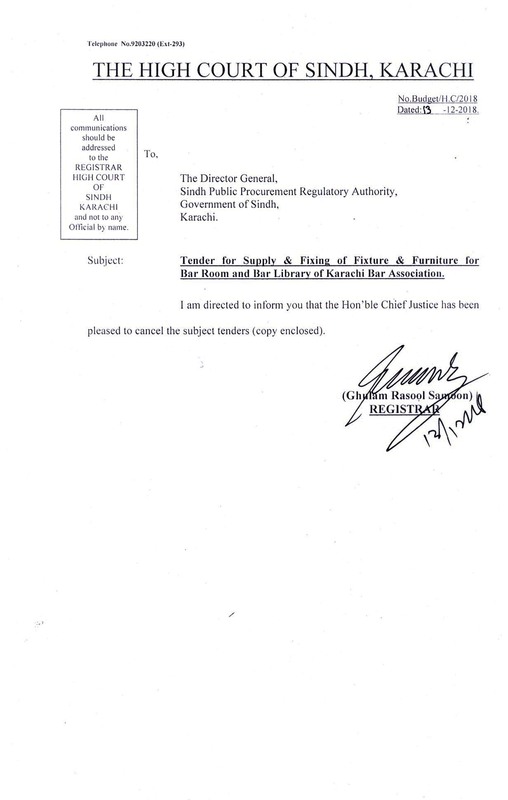 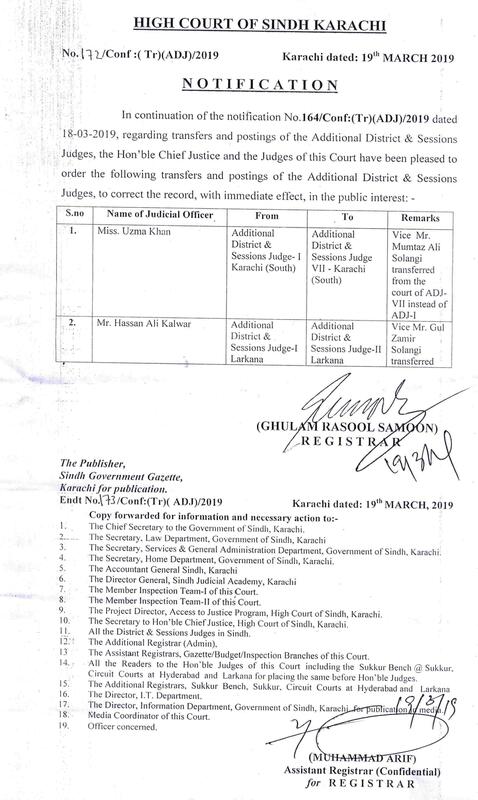 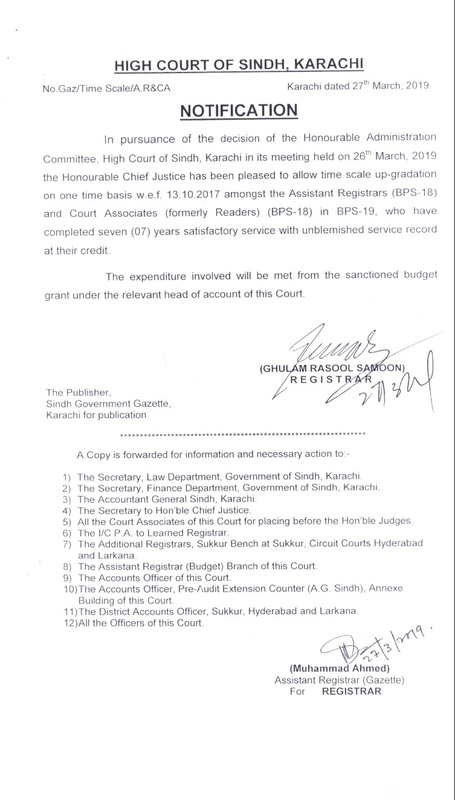 Judge Election Tribunal for disposal of appeals 2002 against the decisions of Returning Officer for Bye Elections of National and Provincial Assembly Sindh..